Are you a lazy gardener? Do you want an amazing garden but you have a busy work life as well as a family to look after? A family to look after already takes up a majority of after-work life. Your weekend is also filled with activities you need to take your children to. How are you going to find time to maintain a backyard or front yard garden? This becomes one of the headaches. A beautiful garden is a pleasure to look at every day when you walk pass by or look out of the windows, and it doesn’t have to be high maintenance and creates stress. A low maintenance garden can be just as pleasuring, but requires a lot less maintenance. How do you achieve that? Plants plant in the right spots, choose a lawn alternative, those are the effective top tips for a low maintenance garden. I have more to offer about creating a low maintenance garden. Read on to find out. This may sound nonsensical to you, but think about this. If you put plants that love thriving under the sunlight somewhere in shades, the plants might end up struggling. Plants that need more moisture and less sunlight in a high exposure of sunlight area will might up being toasted. Therefore, it is very important to find every plant a right spot when you want to create a low maintenance garden. The right plants in the right spots enables the garden to require less maintenance. Get to know the plants when buying them if they prefer sunlight or shades, then look around your garden and find areas with high or low light and water intensity. Choose more sturdy plants when buying your plants. Plants that are pest-resistant, disease-resistant, and drought-tolerant always require less maintenance than those ones which need you to look out for pest, disease or climate crisis. 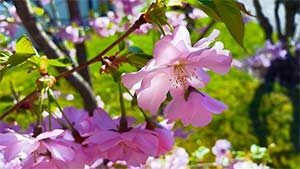 It is also a good idea to choose plants with slow or moderate growth rate that don’t produce messy pods or fruits, or shed many leaves branches. Native plants are usually better adapted to local area, which means they require overall care. You should also choose plants that are suitable to grow in local soil and climate. Instead of using real grass, artificial grass is gaining its popularity these days due to its low maintenance advantages. 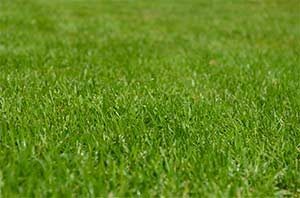 Maintaining a lawn is usually an essential part of maintaining a garden. All the watering, weeding and mowing takes up lots of time. Artificial grass is definitely helpful for creating a low maintenance garden as it requires no watering, weeding or fertilizing, and its look is long lasting. Perennials naturally come back year after year, which means you don’t have replant it every year, and that saves you a lot of work. Go online and have a search, it is easy to find out what the common perennials include, such as coneflower, daisies, daylilies and hosta.